I was in a rock band for three years. Sometimes 30-year-old women would look longingly at my lead-singer husband and 75-year-old men would flirt with me, but we never had 15-year-old girls scream at us. We were also not the Beatles, Elvis, or One Direction, although sometimes we made enough money to pay the babysitter during our gigs at a handful of local wine bars. “But I’m not a 15-year-old girl,” you say. Of course we know that it is not just girls and young women who scream at concerts, even though we’ve seen the footage linked above (and it is not just the behavior of girls and young women that interest feminists). One of my friends noted that she hears lots of middle-aged men scream at country music concerts, for instance. But here’s the rub: the image of girls screaming is more common to see, and is evaluated differently from other images (of people, or screaming people), which makes it a good puzzle to sort out using feminism as a guiding lens. Screaming is a physiological response to a stimulus, whether it is stress, fear, pain, sexual stimulus, or just excitement to see a rock star who has been hyped up as a dreamboat. Screaming at a concert, like the music performance itself, is a bodily experience, and calls to mind ponderings about bodies, control, and sexuality. Screaming at a concert, especially one where girls in the audience may be attracted to the main attraction (or even to the messages in the music), may be viewed as a form of free bodily sexual expression, an experience long touted by feminists of many types to be crucial if women and men are to be equal, egalitarian, and/or emancipated from their prescribed gender roles. But it’s not that simple. This bodily and vocal sexual expression could have two paradoxical interpretations: either a girl screaming at a concert is defiantly protesting girls’ sexual repression in a highly sexualized society, or she is doing so as an unsuspecting part of the larger project to maintain girls’ sexuality as controlled, quiet, and contained. Let’s see what this means. One the one hand, swooning and screaming may seem out of control (the history of the word “hysteria” deserves yet another feminist blog post), but is actually a way for the girls to try to retain control of their bodies, experiences, and sexual expression. Screaming means you have a voice. Literally. The screamers get to decide to scream, think about the performer, and embody sexual expression. As Australian researcher Sarah Baker reminds us in her work “The Screamers,” “pre-teen girls are not simply ‘swallowing’ cultural commodities” passively and superficially. They are voicing their selves to the world, with nobody telling them what to do. On the other hand, as Baker (2003) also says, “[g]irls’ public expression of sexuality at the pop events is accepted because the ‘official culture’ knows that such a public expression is ephemeral. Appearances by pop stars always ‘end with the old order restored.’” If the “old order” is one that perpetuates girls being required to control their sexuality, then free expression is illusory, temporary, and therefore not really free at all. In fact, we could make the argument that the seemingly uncontrollable screaming is prescribed so that order is maintained. Certainly “controlled chaos” is not out of the realm of understanding of sociologists who aim to research crowd behavior in protest and war. But consider that it may also be useful applied to the happy occasion of an awesome concert. This is where the screaming paradox is not just about girls, but about youth generally. Or any disenfranchised voice, for that matter. Young people do not have a loud voice in our society. Nor do they have a say in how spaces and bodies are supposed to be organized and moved. So, screaming, which is usually not allowed at home or school or in public gatherings like assemblies or faith communities, is a blessing at concerts. Kids can scream legitimately and claim a “space that is not usually recognized as their own” (Baker 2003). But, as the above discussion suggests, this emancipatory claiming is not a threat to the social order that keeps young people voiceless because there are still authority figures at the venues, and the expression is temporary. So, within the girl, the screams can be freeing. Within the context of social life more broadly, the screams are a “safe” way for girls to be sexual, thus limiting that freedom and perpetuating the notion that girls ought to be pure and good unless the space is controlled by others. The idea that young girls especially are uncontrollable (and therefore in-need-of-control) screamers is part of a problematic stereotype of girlhood. The idea that controlled hysteria can simultaneously emancipate and constrain a group is terribly important for scholars interested in inequalities and group behavior, feminist or otherwise. 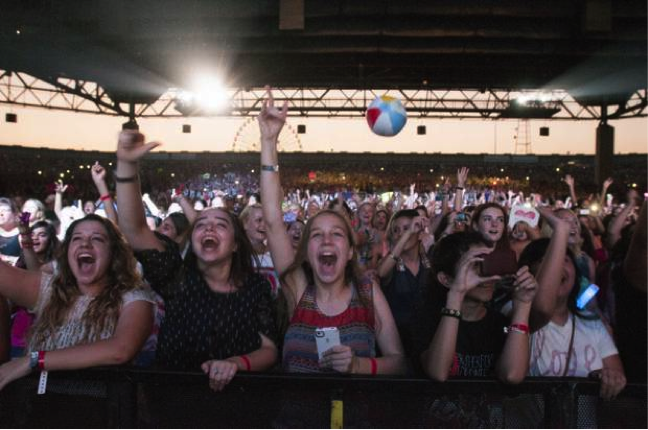 We need to reimagine the image of young girl concert-goers as hysterical and uncontrollable. We need to remember that girls’ voices are still dismissed, trivialized, and silenced, despite the high decibel level of One Direction concerts referenced in media. That something so loud connotes silence is a powerful message for feminists and others to continue to hear. Baker, Sarah. 2003. “The Screamers.” Youth Studies Australia 22(2): 19-24. 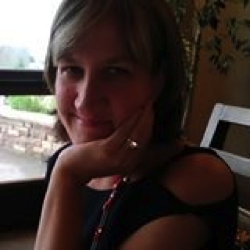 Michelle Janning, Senior Scholar with the Council on Contemporary Families, and Professor of Sociology at Whitman College, was recently quoted and interviewed (With audio! For over 2 minutes!) about the topic of screaming girls at boy band concerts in the Washington Post and on KCBS Radio San Francisco. She teaches and researches families, gender, popular culture, and childhood (and, evidently, combinations thereof), among other topics. Her blog and website can be found at http://michellejanning.com/. Sometimes a scream is just a scream, directed at a really cute guy(s). Let's not overthink this, ladies. It's good clean fun for the most part. I'm a 52 year old mom who was lucky enough to take my 14 year old daughter and her friends to several One Direction / 5 Seconds of Summer concerts this summer. We (yes, me too lol) screamed our heads off and it was awesome. Can't think of a better way to spend a part of our summer. I encourage screaming every once in a while - especially if a cute guy is in the vicinity!